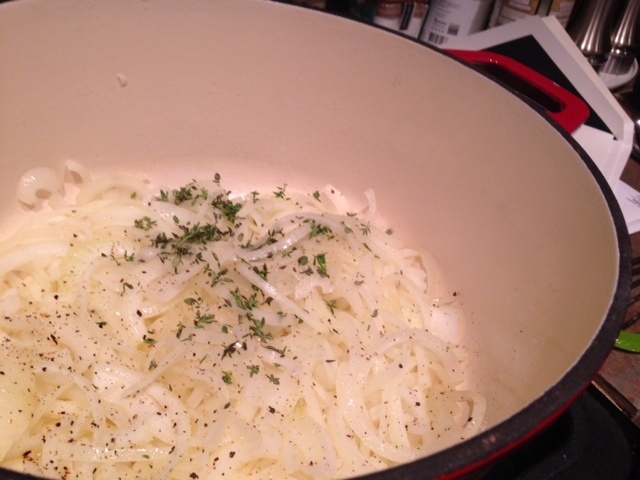 When I first saw this recipe, I was suuuuper excited, because I love french onion soup. I mean really lurve it. 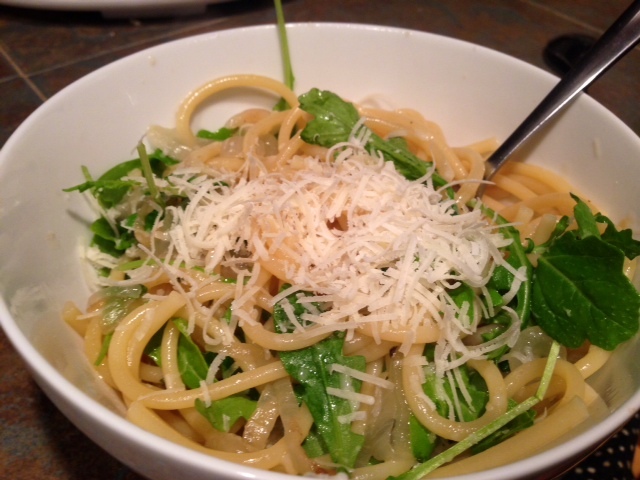 I will say that this pasta doesn’t quite live up to that level of insane richness, but the idea is still there. 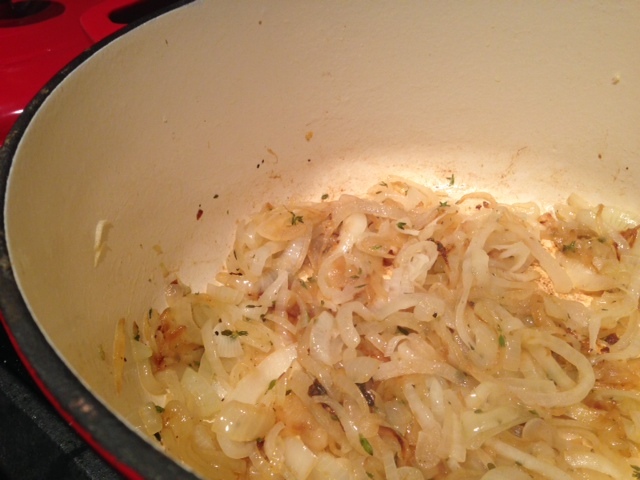 You start by caramelizing onions down to the point of sweet jamminess, then add broth (and a little wine in my case). Let those flavors hang out for a while, let the pasta soak up all that delicious liquid, and top with arugula and parmesan. Done. My one complaint with this dish is that I feel like the onions end up getting lost in all the broth…I was hoping for more onion. I think if I made this again I’d use at least one more onion, and I’d look at using something more like the melty Gruyere that true French onion soup uses, vs. parmesan (which never melts quite as luxuriously for me). But all-in-all, this was warm and comforting. Slice up the onion into long strings. Place a large, heavy-bottomed saucepan over medium heat, not too high. I used my dutch oven and it was perfect. Add the olive oil and butter, and stir until the butter is melted. 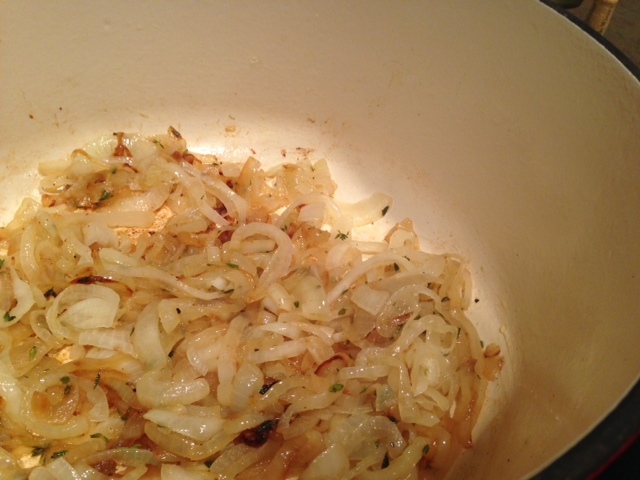 Add the sliced onions to the pan and coat in the butter and olive oil, then allow them to cook undisturbed for about 4 minutes. Stir in the salt, pepper, and thyme, then continue to cook for about 4 minutes at a time, stirring in between. If the onions are browning too quickly, lower the heat. The onions will begin to brown, break down, and resemble an onion jam, but if your heat is too high it’ll just turn into a mess. When onions are entirely browned and completely soft (will probably take about 15 minutes but might be longer), add the water and chicken broth to the pan (I substituted some white wine for some of the water). Scrape any burned bits off the bottom of the pan, and then add the pasta all at once. Return to medium heat and bring to a simmer. Place the lid on the pan and allow to simmer for 5 minutes. Toss and stir the pasta for about 3 minutes, then cover and cook for another 5 minutes. 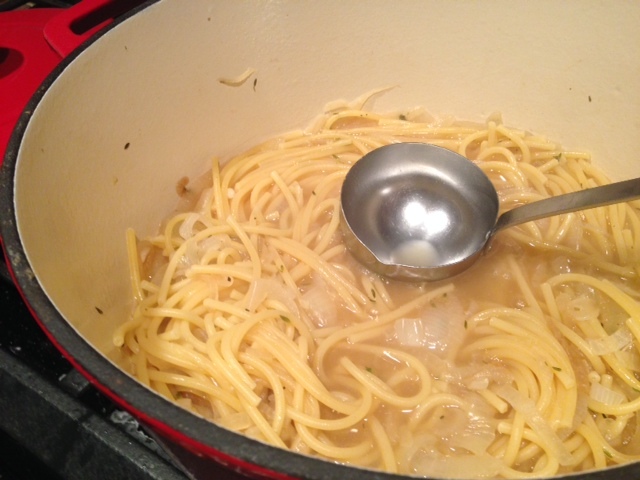 Test the pasta for doneness (you want it al dente, it’ll keep soaking up liquid). There will still be just under an inch of liquid in the pot. If the pasta’s done, then allow some of the liquid to cook off, but remember that a little bit of broth remaining isn’t a bad thing! 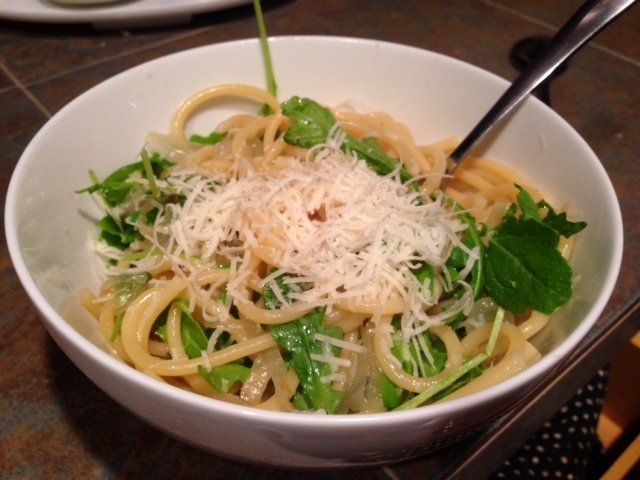 Top with parmesan cheese and fresh arugula to serve. Looks so pretty, and is warm and comforting! Place a large, heavy-bottomed saucepan over medium heat, not too high. Add the olive oil and butter, and stir until the butter is melted. 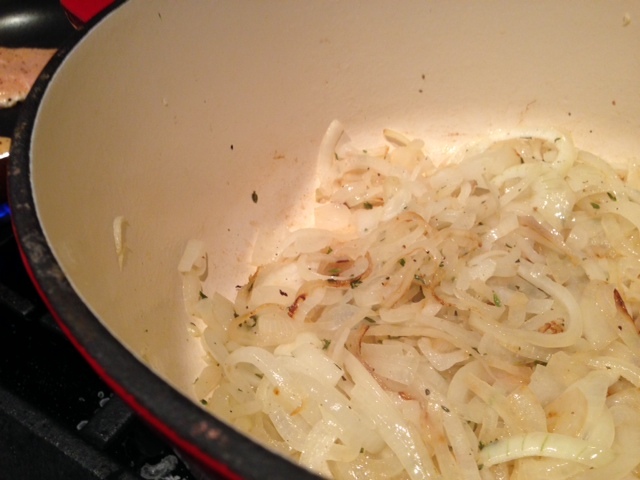 Add the sliced onions to the pan and coat in the fat. 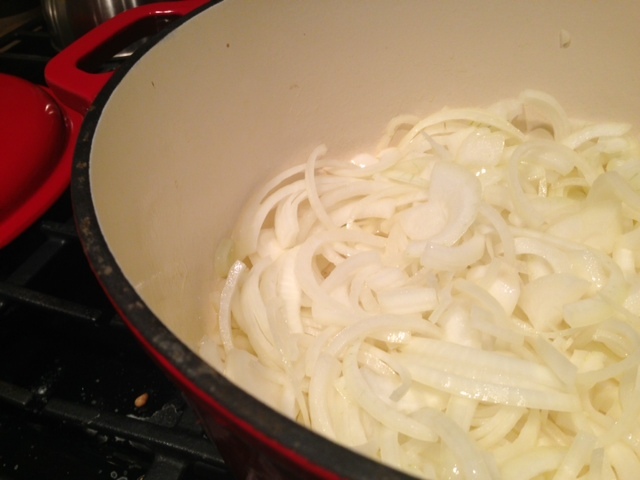 Allow the onions to cook, undisturbed, for about 4 minutes. 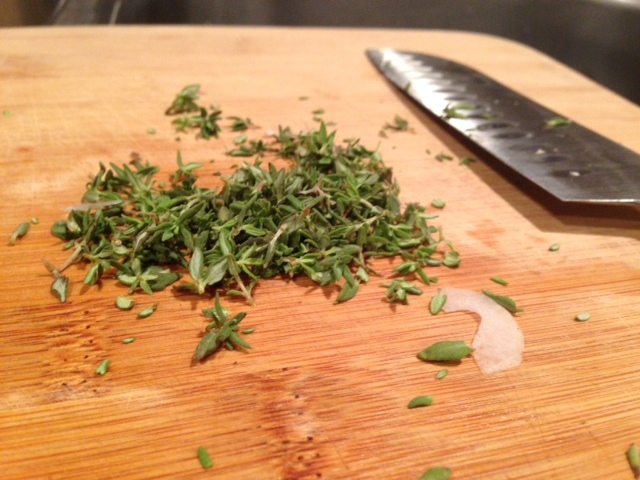 Stir in the salt, pepper, and thyme. Allow the onions to cook for about 4 minutes at a time, stirring in between, and lowering the heat if the onions are browning too quickly. 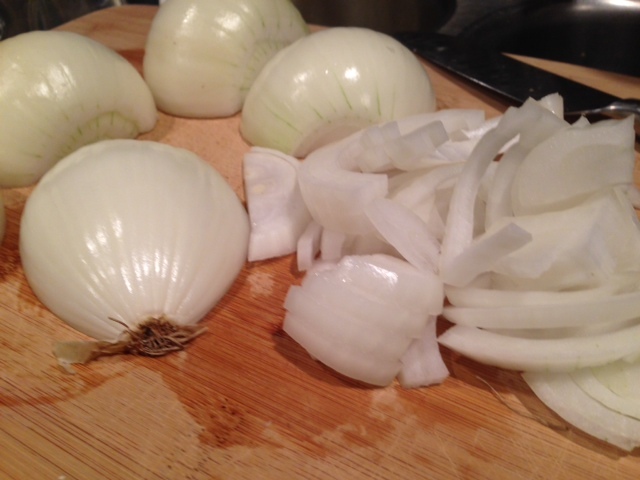 The onions will begin to brown, break down, and resemble an onion jam, but if your heat is too high it won’t work. When onions are entirely browned and completely soft (should take about 15 minutes), add the water and chicken broth to the pan. Scrape any burned bits off the bottom of the pan, and then add the pasta all at once. Return to medium heat and bring to a simmer. Place the lid on the pan and allow to simmer for 5 minutes. Remove the lid, then toss and stir the pasta for about 3 minutes. Put the lid back on and cook for another 5 minutes, then test the pasta for doneness (you want it al dente). There will still be just under an inch of liquid in the pot. 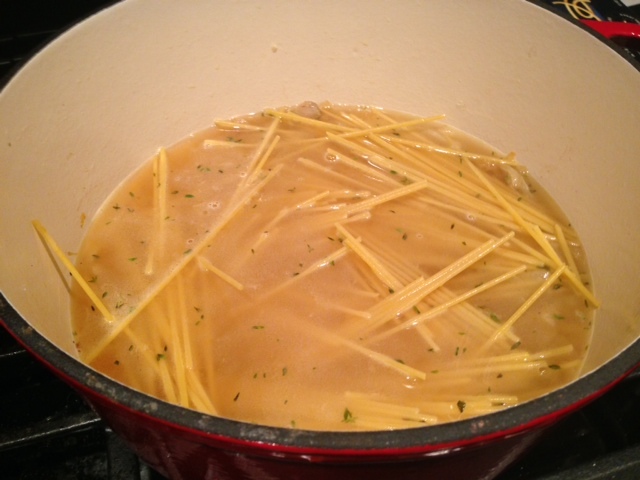 If the pasta’s done, then allow some of the liquid to cook off. A little bit of broth remaining isn’t a bad thing! 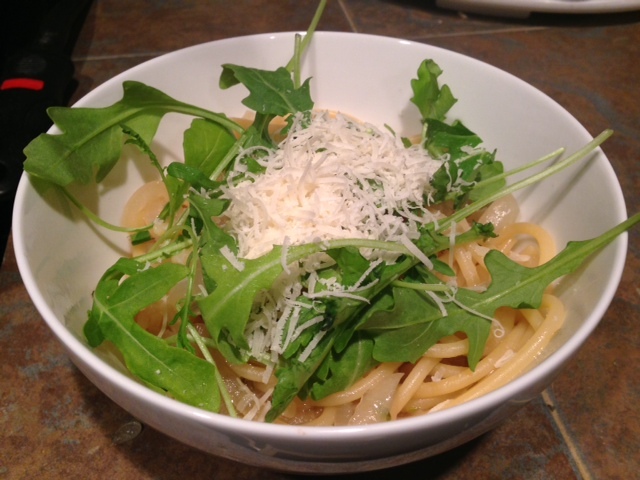 Top with parmesan cheese and fresh arugula to serve.